Sometimes, the words simply refuse to come. Or they spit out reluctantly, occasionally spraying the screen in explosive gouts of rusty prose in protest at their forced exposure. At these miserable times, I look around at the rows of books on my shelves, the stacks on my desk, on the floor beside and behind me; I think of the teetering pile beside my bed and I wail “HOW DID THEY DO IT?” (in my head, of course, as it’s usually late at this point and all the sensible people are asleep). ‘They’ are those exotic creatures otherwise known as published authors and ‘it’ is finish a novel. The getting published bit is also of interest but, at this stage, just finishing the damn story is enough to win my deep admiration. Maybe so, dear readers. Then again, maybe not. At this year’s Perth Writers Festival, there was a lot of discussion about process, planning and problems along the way to publication. Some authors did plan and knew the ends of their stories before they began. Others – hallelujah! – did not. So, in the interests of hope and validation for non-planners like me, as well as an insight into the agonies involved in birthing three very different books, here’s how successful authors Miguel Syjuco, Rodney Hall and Adam Ross did ‘it’. 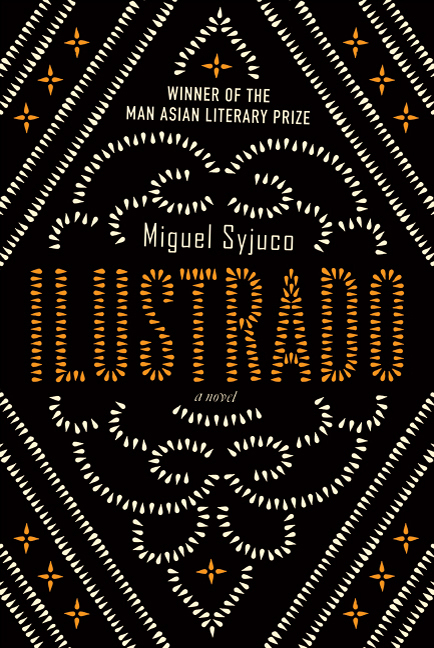 Syjuco won the Man Asian Literary Prize in 2008 for his first novel, Ilustrado, before it was even published and has been described in The Guardian as “already touched by greatness”. Ilustrado explores 150 years of Filipino history through a young student’s investigation of a famous Filipino writer whose body is found floating in the Hudson River in the United States. The writer’s life, his investigation into corruption and the life of the Philippines itself, is recreated through extracts from his short stories, novels, newspaper articles, letters and text messages. In this context, it would be remarkable if Syjuco hadn’t planned the complex and ambitious narrative. However, as it turns out, it wasn’t careful planning but inspiration born of despair which saved Ilustrado. In despair, Syjuco got stoned, threw himself on a couch and watched a documentary about textile manufacturing in the southern Philippines. “So I rushed to the computer, I took apart my manuscript and I spun those individual narrative threads on their own and then arranged them to try to create patterns. Ross went one step further than planning the end of his novel. From the start, he knew the very last line: “All the way to her heart”. 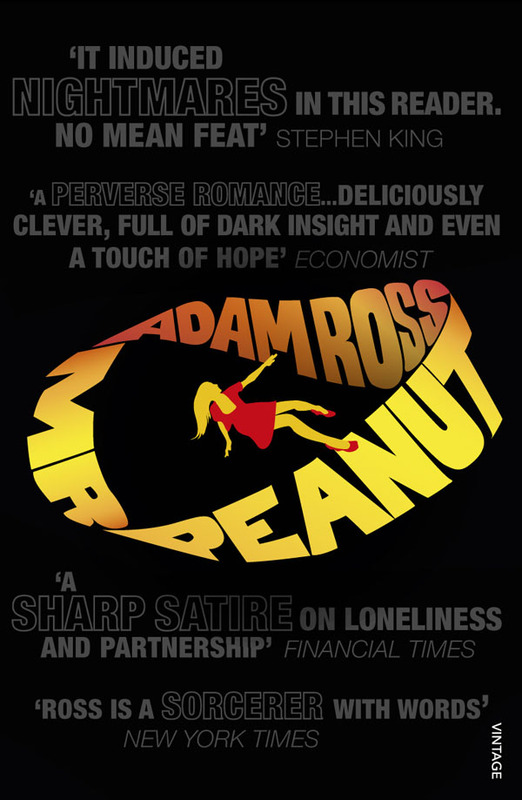 Inspired by a conversation with his father about a suspicious death in the family, as well as a large and recent dose of Alfred Hitchcock, Ross sat down and wrote the first three chapters of Mr Peanut “pretty much verbatim”. Then he got stuck. Mr Peanut is the story of a computer game designer who fantasises about his wife dying. When she ends up dead, he is the prime suspect. Ross created two detectives to investigate the murder – one who believed everyone he interrogated was innocent, the other that everyone was guilty. It didn’t work and the novel languished. “I had written myself into something that I didn’t fully understand at the time and then what subsequently occurred was essentially a 12-year process of figuring out what I had started,” he said. Over the next several years, Ross learned the true story of Sam Sheppard, a doctor convicted of killing his wife in 1954 and who inspired the television series The Fugitive, which got him thinking about perceived roles in marriage and eventually led to the creation of a new detective character. Ross also came across the work of MC Escher – famous for ‘impossible’ artworks and those where one image can be seen to morph into another – as well as the two-sided concept of the mobius strip, which put him in mind of a person walking on the floor, which to another person was the ceiling. “What I was trying to figure out was a way to bend the expectation or change the reader’s posture to the narrative,” he said. “What I needed was that big picture and what happened was, it was the character of Mobius, who is either a private investigator or hit man a la Hitchcock’s Stranger On The Train. He is the character that binds every narrative and has different meanings for each individual. The long road to Mr Peanut has since been vindicated by a glut of positive reviews and all important buzz. The Guardian’s Christopher Tayler said the book was stuffed with wit and stylistic tricks and Stephen King said it gave him nightmares. Rodney Hall (Popeye Never Told You) – Does not plan! Hall has had more than 30 books published and has won the Miles Franklin Award twice. He writes by hand. And he does not plan. “I never know where to go,” he told the PWF session. “I start from the germ of an idea in conversation or something but I allow them to guide me where they are going. They all behave totally differently. Not only does Hall not plan, he also doesn’t change his words around once they’re written. “I never change the order,” he said. “The only way I can be secure about how the reader’s feeling is in that moment when the writer is closest to being his or her own reader and that’s the moment you get the words, each sentence, on the page. 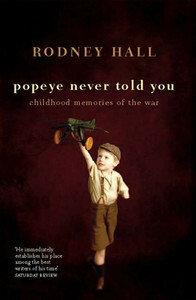 Hall’s latest book, Popeye Never Told You, is a memoir of his time living in a small town in the west of England, aged 5 to 9, during the World War II. He wanted to capture those very clear childhood memories before they faded. So, about five years ago, Hall sat down and wrote a standard autobiography which explained what happened to him, how it affected him and put it all into historical context. “That was about a 200-page book and I sat with this really uncomfortable thing, like a homunculus on my back, because I fundamentally hated it,” he said. That was the turning point. Hall decided to include only the child’s experience in the book. No history, no context, no story. “My project in the breaking of the mould was to avoid at all costs any kind of narrative at all,” he said. 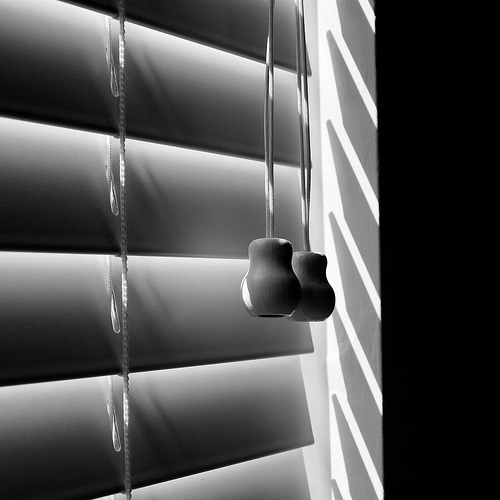 Hall assembled his memories so they interacted but they were still a collection of tiny parts. Hall was not the only author at the PWF to endorse the ‘let the story go where it will’ approach, but the planners out-numbered them by a long way. I don’t care. It works for him so it can work for me. Now, if only the words will come. This entry was posted in Blogwax and tagged adam ross, authors, books, endings, festival, fiction, ilustrado, miguel syjuko, mr peanut, perth, planning, popeye never told you, rodney campbell, writers, writing. Bookmark the permalink. Great post! I feel the same way when I look at all my books and think of all the ones I’ve read and adored. It’s helpful to hear about how those “published” people did it. 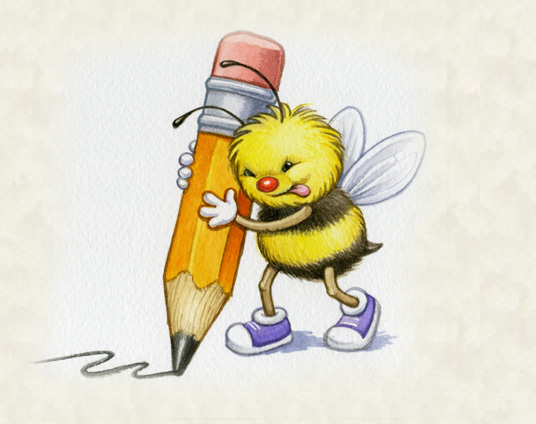 It’s encouraging to see there is no norm, but is just a matter of finding the writing formula that works for you. Funny thing is, I did well in Chemistry in high school – so why haven’t I discovered my formula yet? ?